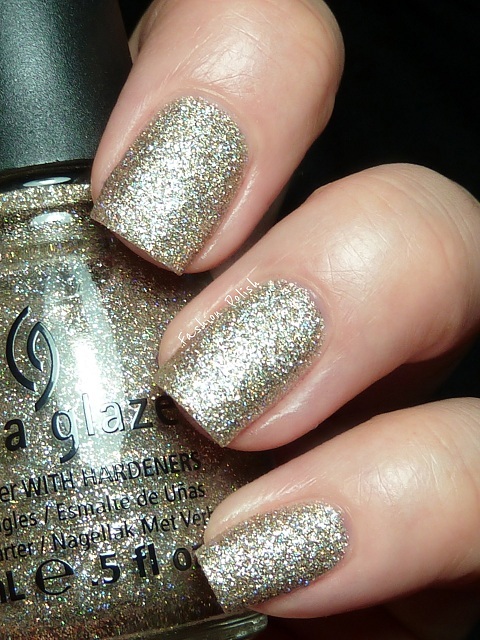 Are you ready for the second part of the China Glaze Fall 2012 collection? Kalahari Kiss, I’m Not Lion, Call of the Wild, Adventure Red-y, Desert Sun and I Herd That. Kalahari Kiss : light camel creme. It's a very unusal color, on the yellow side of camel. I wasn't sure if it would look good on me and it does! Gotta love when that happens ^_^ Great opacity but a little bit on the thick side. This is two coats. I’m Not Lion : mainly cool gold but also sparse copper and holographic glitter. 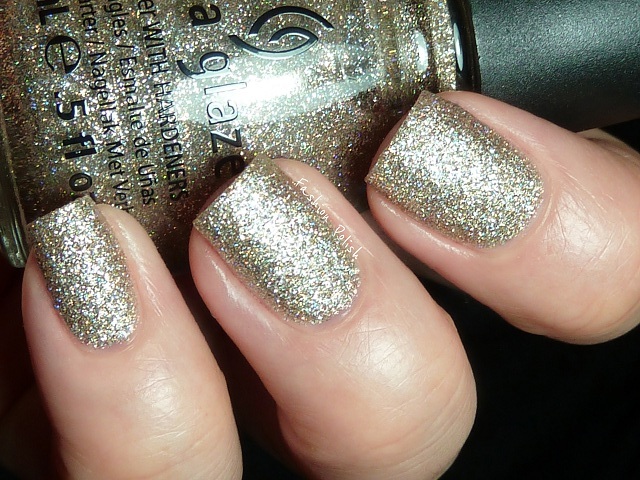 A very nice shade with a little extra sparkle due to the holo articles. I can see it working great for accent manicures. Three thin coats required for full opacity. 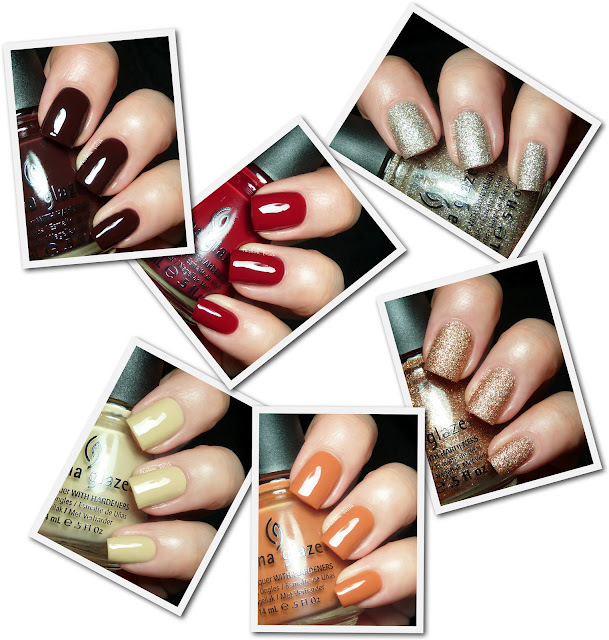 I didn't use topcoat in these swatches but I suspect you light need 2 coats of TC to obtain a smooth finish. 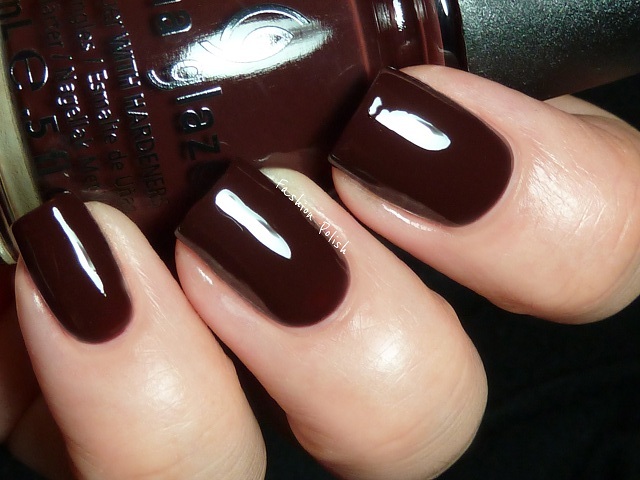 Call of the Wild : dark brown creme. It's hard to tell the difference between this one and Prey Tell on the screen but this is definitely more brown and much more cool toned IRL. Great formula, two coats here. Adventure Red-y : deep red creme. Nothing particularly originial about this red but it's truly gorgeous and has an amazing formula. I've never blogged about China Glaze Hey Sailor, it's probably my favorite red or at least the one I wear the most. I always grab it when I'm out of time or inspiration for its one-coater wonder. Adventure Red-y might very well tag along in my everyday VIP list as you could definitely also get away with one coat for a perfect, easy, and classy manicure. Desert Sun : cool hued caramel, burnt orange. I was really curious about this one and I ended up loving it! It's a perfect (lighter) take on the usual fall oranges. Great formula too. This is two coats. 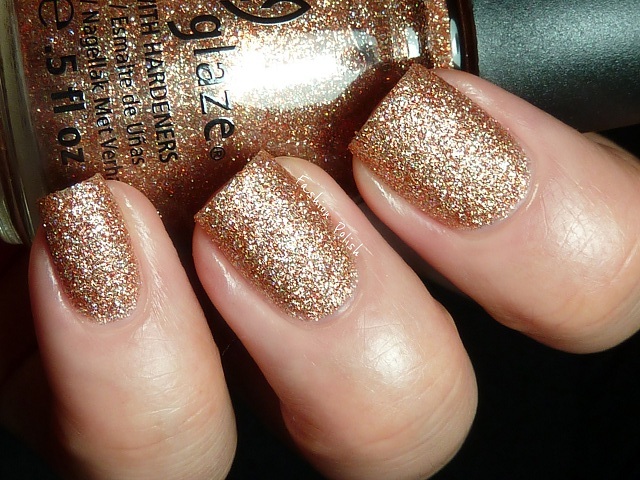 I Herd That : warm gold and copper glitter mixed with sparse holographic particles. Again, I love the extra holo. It's less obvious than in I’m Not Lion but contributes in making a unique blend. Three coats for full opacity in these swatches, no topcoat. My picks, in this set, would be : I’m Not Lion, Adventure Red-y, Desert Sun and I Herd That. The China Glaze® On Safari collection is already available at fine salons and beauty supply stores nationwide. Individual polishes retail for $7 MSRP; the 6-piece sets retail for $42 MSRP. Your swatches are beautiful as always! The more I see this collection, the more I like it. I think I'll be buying a few of these! With no exception of this collection, your swatches make everything looks sooooo good I want them ALLLLLLLLL!!!!! This is not good for wallet :-(. Great swatches! I got I'm Not Lion and I Herd That. Kalahari Kiss and Desert Sun. I picked up the red, blue and Jungle Queen. The coverage on the red is amazing. I am tossing out some of my dupe reds because this formula is far superior. I think I am going to get out my carmel shades and check 'em against Desert Sun - I want to buy Desert Sun - but thinking of 2 OPI's I have an also an Essie from last fall 2011's collection with the hand bag theme and kind of wondering where Desert Sun fits in or if it's really close to the ones I have. Want them allllllll.... that deep red is a knockout though. Thanks for the great swatches!